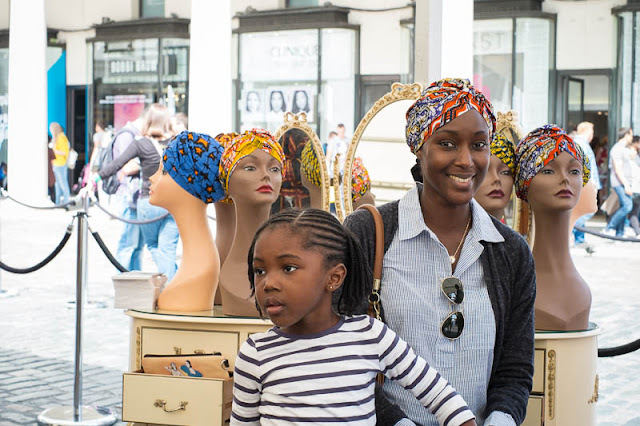 All things African being celebrated at Covent Garden last Saturday. Music, stalls, face painting, acrobatic performances, a very vibrant occasion. If you missed it then make a note in your diary now for the Africa Utopia festival at Southbank to be held 10-13 September. You captured a beautiful portrait here. Lovely, Mo. I like seeing the two live figures worked into the collection of heads. What a nice and happy image.